"Good over Evil ~ Sleeping Beauty by Disney"
The final of the Disney fairy tale series is no sleeper in "Sleeping Beauty", a classic tale with all the trimmings ~ including one of the best loved scores ever to grace the big screen. Must make mention the music was nominated for Best Musical Score in 1959, the Tchaikovsky composition blending pure adaptation through brilliant arrangements. The films running time is 75 minutes, but all the extras of bonus features and technical specifications is pure gravy. Dolby Digital 5.1 Surround Sound gives the viewer options of Widescreen and Fullscreen ~ "RESCUE AURORA" set-top adventure game ~ 3-D virtual galleries ~ "ONCE UPON A DREAM" is The making of Sleeping Beauty" ~ Story Reels ~ Princess personality game ~ Sleeping Beauty ink and paint game ~ Academy award- winning "GRAND CANYON" short film ~ The brilliant music ~ The design ~ The restoration ~ Four artists paint one tree ~ "THE PETER TCHAIKOVSKY STORY" ~ Creating the backgrounds ~ DVD-ROM links ~ THX-certified ~ and much, much more! This is a must have for "Disney-classic-collectors" that will do your ever growing collection proud. This is someting you'll cherish and watch over and over again through the years. 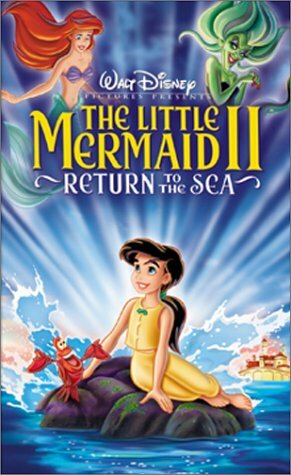 Disney has done it again ~ it just keeps getting better with every DVD release from the Disney people...gotta love it! Sleeping Beauty was one of the first Disney animated films I remember my folks taking me to see. As a child during my 'dinosaur' phase, I loved watching Maleficent turn into the dragon and fight Phillip. The story, you should know by now of course, young princess whisked away by three fairy 'godmothers' to protect her from evil sorceress, raised in the forest unaware of her heritage, meets prince charming unaware he's a prince, eventually finds out they're betrothed to each other as prince fights sorceress. The re-mastering technique employed on this DVD yielded incredible results, the image was actually more vibrant and colorful than originally aired in 1959 and it looks marvelous on today's widescreen HDTVs. I was quite taken with the art, quite unlike anything Disney has done before or since with it's angular geometry and perpendicular themes. Aurora and Maleficent duel for most beautiful Disney female forms to date. The extras on the DVD are quite interesting as well. The original theatrical companion pieces The Grand Canyon was sublime and the snippet of how four artists paint a tree helped glean a bit into the mindset of the brilliant artists on the Sleeping Beauty project. Highly recommended, not just as a child's story, but as an impressive art piece and study of mood and texture. 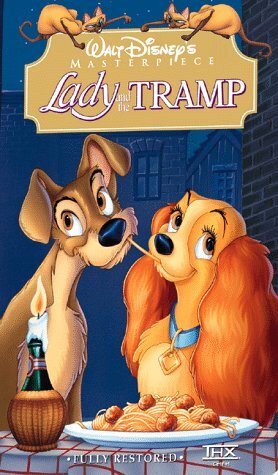 One of my favorite movies (animated or nonanimated). 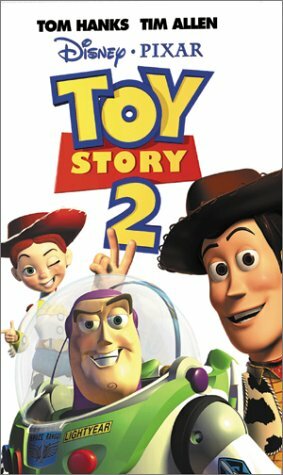 THere is a quality and rich story that seems lacking in so many of todays movies (Disney movies included). The music just lifts you up and carries you into the Princess's world, and the ending leaves you with a pleasant sigh without being totally predictable. If you liked the Little Mermaid or Beauty and the Beast, you'll love this. Sleeping Beauty is one of the most ambitious animated films ever made. It's a gorgeous, elegant, and absolutely amazing landmark in animation; a film so charming, memorable, and beautiful that it has been hailed as the most incomparable film in the animated genre, and with good reason. Detailed backgrounds, glorious colors, outstanding visuals and beautiful music are all contributing factors to the grandeur pageantry that "Sleeping Beauty" enthralls on its audience. Up until the last few years, "Sleeping Beauty" was actually considered one of the few Disney 'failures.' That means, a poor box-office success. But that was 1959. 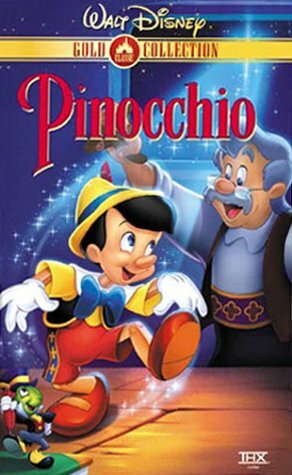 Since then, the film, like "Pinocchio" and "Fantasia," has returned to theaters many times and made way on video for new generations to enjoy, earning large estimates of money and critical praise, not to mention being the most requested Disney film on video after "Snow White And The Seven Dwarfs" and "The Lion King." It was finally re-released in a fantastic Special Edition DVD, and looking back, I can't believe this was once considered a failure. As if! This is not just a timeless tale of good and evil; the plot is elegantly portrayed with rich textures and stunning animation. 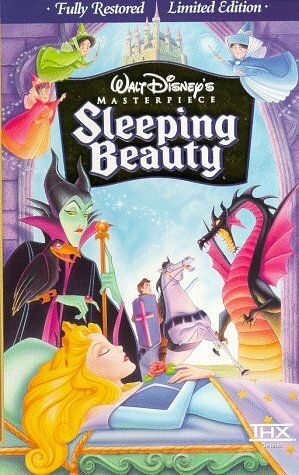 Sleeping Beauty is one of Disney's best animated films, EVER, and a must-own DVD for any collection. 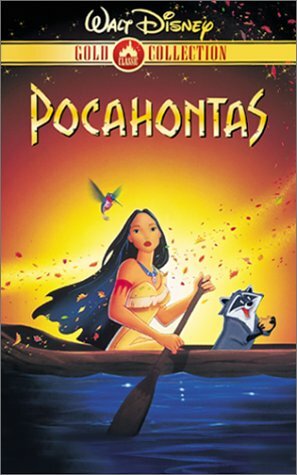 If only Disney still made films like this. I don't think we could be so lucky. Don't delay, get this before time runs out!!! Sleeping Beauty is Disney's retelling of the fairy tale of the same name. 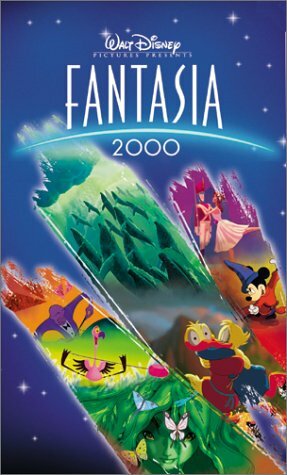 This DVD release of Disney's 75 minute movie features options to view it in either the original 2.35:1 widescreen aspect ratio, or in a "pan and scan" 1.33:1 aspect ratio version that captures most of the action while using the full height of a standard television screen. A second DVD includes supplemental material on the history and making of the film. The story itself departs somewhat from the traditional fairy tale version, with a story line that provides a little more scope for character exposition and interaction. 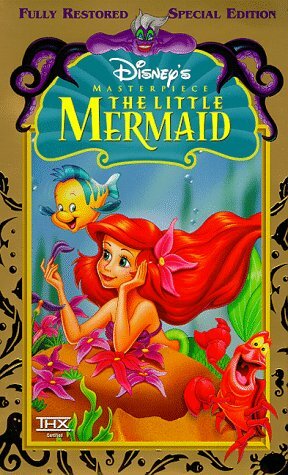 The result still retains a fairy tale feel, and the plot remains simpler than most of Disney's other animated features. The biggest strengths of the movie are in its wonderful animation, artwork, and music. 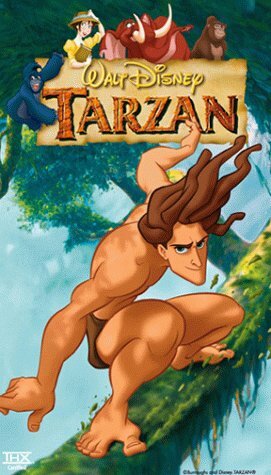 The animation is perhaps the best of any Disney movie. The animators were exceptionally good at using facial expressions to help tell the story - Maleficent's face perfectly expresses her smug satisfaction when something goes her way, and Princess Aurora's expression when she first meets Prince Phillip by surprise perfectly communicates the various emotions that are running through her. The animation of the action is also wonderful, with some of the best moments being Aurora's dancing and Phillip's battle with the dragon. The background artwork is terrific. Each background is really a high quality painting, full of scene specific detail and yet all coordinating to give the picture overall artistic unity and medieval feel. And yet, all this beautiful background coordinates with the characters in a way that avoids overpowering them. 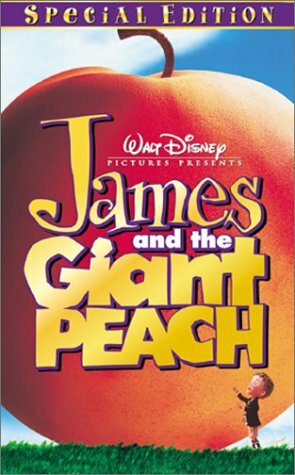 Unlike some of Disney's other animated classics, this film did not use original music, but instead wisely went with Tchaikovsky's Sleeping Beauty ballet music. Tchaikovsky's beautiful classic music perfectly complements the beautiful, artistic nature of everything else in the film. 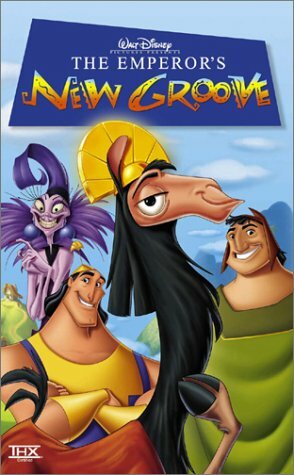 The Emperor's New Groove--A Groovy Movie! The Emperor's New Groove is a very interesting movie. Viewers will have a comical experience, typical of Disney movies. The animation of this movie is also excellent, showing details that really make the movie shine. The music is wonderful, contributing to an overall outstanding movie. This movie is fun for all ages, clean for a child safe movie and comical enough for the adults. Join the arrogant Kuzco as he learns a lesson in hospitality, he won't soon forget. Prepare to meet Pacho, the villager who unwittingly will teach him that lesson, and a score of other interesting characters. This movie had my interest from start to finish. The Ultimate Groove has special features like you wouldn't believe. Did you ever wonder how a Disney movie was made, or what goes on behind the scenes? Prepare to have these questions and more answered as Director and Producer take you behind the scene, on your choice of tours. Play a game, and help Kuzco get to the castle, but beware. Danger lurks right behind you. This game was fun, but not that fun. I would not spend too much time on it. Overall, I vote for the Ultimate Groove for the backstage tours and commentary. If this does not sound like your interest, the normal version is an absolute must. I avoided seeing this movie in theaters, due in large part to the television and print ads which made the film seem dumb and uninteresting. I bought the DVD largely because it was a special edition and I want to encourage Disney to make more. I was pleasantly surprised to find that the film was a pretty straight comedy buddy picture which didn't get bogged down in obligitory romances or other typical plot devices. It's not really one of my favorite animated films, but it's fun and I like it. This is a pretty good special edition, though it lacks that bit of extra oomph that would have made it a great one. The bonus material gives viewers a pretty good overview of the film's production, including some nice bits of rough animation of the major characters. 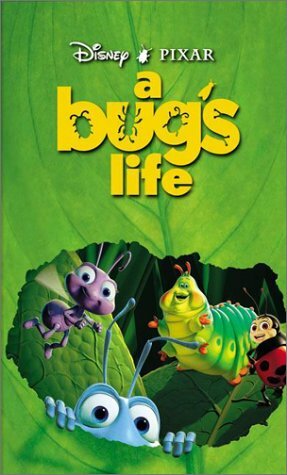 The commentary, while lacking the guys-sitting-around-talking-about-their-movie-and-having-fun informality of something like "A Bug's Life", is infortmative without being boring. I guess my main gripe with this DVD is the lack of real information about the "Kingdom of the Sun" version of the film. I realize that Disney wasn't really happy with the way that was going and would probably rather forget it. But a synopsis of the original plot would have been interesting, even if it only shows why that version was scrapped. Overall, this is a nice DVD that will please fans of the film and provide some interest for the animation buffs. My kids watch this one all the time. My youngest just loves it, she laughs through the whole movie (and so do!) David Spade is hilarious as Kuzko the self obsorbed Prince turned Llama, and John Goodman plays a heartwarming Pacha, the peasent who's home Kuzko wants to destroy to make his dream vacation spot. This movie stars David Spade as a "llama." Who cares about a llama? Well, he does not start out as one. The movie is about an emperor who gets a spell cast on him. This movie is lame. The Emperor's New Groove never gets your pulse up. You never care about any of the characters. 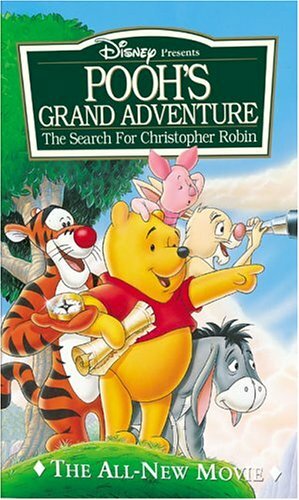 It would have been ok as a Saturday morning cartoon special, but is unworthy of the title "Disney Animated Feature." David Spade stars as an Inca king who is turned into a llama to teach him a lesson on kindness. John Goodman voices his best friend. The villian looks like an anorexic Cruella DeVille with disgusting spidery eyelashes. Excellent for two and three year olds and everyone else too! 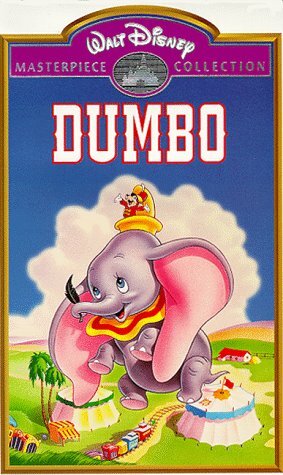 Dumbo is a cinematic milestone and masterpiece of family entertainment. The storyline and characters are well rounded enough (just) to entertain adults and older children and the quality of the animation both holds children's attention and enables them to empathise with the principle characters. In addition, the moral of the story is well presented without being clumsily overstated as in much modern animation. 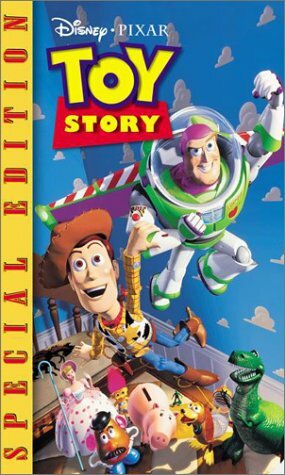 Both my children have frequently watched this DVD (which first came out (without extras) in Europe in 1999) since they were one and both enjoy it imensely. I'm both astonished and disturbed that anyone could deem this movie unsuitable for children but can only assume they come from the same group of people who banned Robin Hood books from schools for being 'pro communist' and Shakespeare for being 'too explicit'! The 'drunken scene' is funny, brief and discrete (all you see is the shadows of characters through canvas). As to fast forwarding through the dream sequence for the kids' benefit because it is 'too long' that is verging on irresponsible. All doing so teaches a child is that it's OK to have a short attention span and to zoom through films to the 'interesting bits'. Perhaps I was wrong though and the moral of the story has been hidden too deeply "Persevere - Don't Give Up" is lost on some people. This sweet animated film (only 64 minutes long) is truly a Disney treasure. The simple story is about a little elephant that just doesn't fit in because of his freakishly large ears. Timothy, a little circus mouse, befriends Dumbo and sees only beauty in his new friend. Dumbo entertains us, as well as teaches us a timeless lesson about love and tolerance in a world that is often times unkind and cruel. 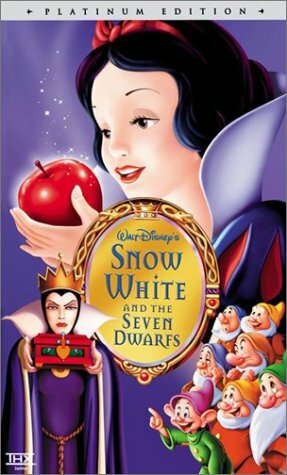 The animation is rather simple as compared to the detail found in Snow White or Pinocchio, but it somehow works because of the film's other strengths. In Dumbo your emotions run the full spectrum from laughter to tears. The musical numbers are memorable, especially "Baby Mine". Baby Mine is a tearjerker if ever there was one. The crows add great comic relief toward the end of the film. The Special Bonus Features on the DVD are a real nice touch and generous. Among the extras are a "Celebrating Dumbo" featurette, two animated shorts, and a Music Video of "Baby Mine" sung by Michael Crawford that will have you sobbing all over again, guaranteed! The only complaint I have was mentioned by other reviewers, that being the grainy quality of the film. This flaw simply does not make any sense. I would have expected that Disney, promoting Dumbo as the "60th Anniversary Edition", would have bothered to restore the picture and audio elements. The DVD back cover makes claims to Dumbo being digitally restored and remastered with a Dolby Digital 5.1 Surround Sound, but it certainly is not evident to me. I guess we should be thankful for the merits of the DVD which are many. Recommended. 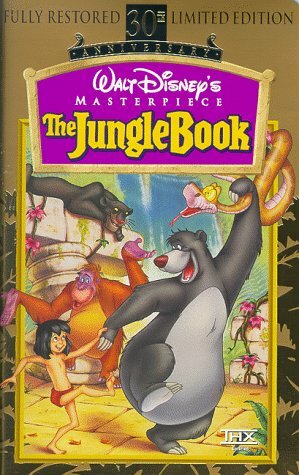 This is one of Disney's true enduring classics. The story is simple. A baby elephant is delivered to the delighted Mrs. Jumbo, but he has big ears. Dubbed Dumbo, he is soon separated from his mother and must find a way to deal with his ears on his own. With only Timothy Mouse to help him, he soon learns that, thanks to his big ears, he can fly. I have always loved this movie. The story is simple, but moves quickly and from heart felt emotion to laughter easily. The moral is simple, but isn't preachy. Watching this movie again recently, I was surprised again at how much of the early story to told in song. I usually forget "Look out for Mr. Stork" and the song they sing as they build the circus in the rain when thinking about the classic songs. "Baby Mine" is one of my favorite Disney songs because of its heartfelt emotion and I love all the puns in "When I See an Elephant Fly." This is a truly remarkable movie. Pop some corn, sit back, and joy this classic tale. Sure, it's a good tale. However, one thing you might consider before letting your children watch it is how dark this movie is. This movie is an exploration of some of the more darker and vile aspects of the human psyche. It is an animated meditation on abuse, slavery, and mistreatment. As such, it may disturb not only the children watching it, but the parents as well. Think twice about this one. There is also the very weird scene where Dumbo gets stinking drunk on alcohol and has "hallucinations." Yes, you should very much think twice about this one as a parent. Made in the 40s and still appreciated by yours truly now. My favorite scene is when Dumbo and the mouse fall into the well and his wine in it. they get so drunk and they ended up hallucinating for like a 10 minute long substance abuse horror scene for children. honestly, unless you are taking shots of cheap vodka or smoking out of your buddies pipe whose name is an inside joke, do not let your kid see this part. (OR ANYOTHER SCENE because I remember crying when I was a little kid when Dumbo goes in a different cage than his mom on the circuis train and they get separated). Anyways, about that scene. why does it last so long? was it like an inside joke to all the older viewers? 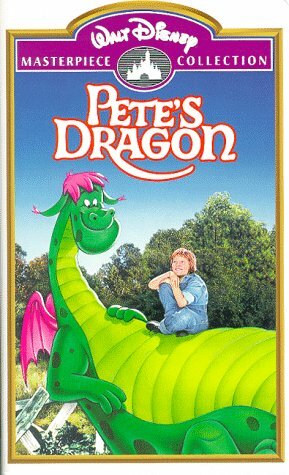 i think this movie was the origin of the timeless hallucination of pink elephants. it is so trippy like when the elephants combine and they shoot into the sky or something like that and everything turns into fire works. 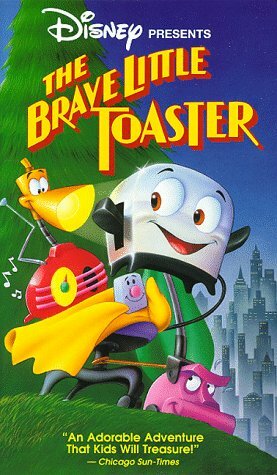 I was always a fan of the DuckTales series as a child, but even then found this movie to be dissapointing. It's a cute movie, and has great characters to work with, but it lacks the charm and fast pace of the show. Kids may become restless watching it (I know I always did) as it tends to drag its feet a bit. Most of the jokes of the Geenie are stale and fall flat. The familiarity of the classic characters does make it a good comfort movie. I don't care for the central villain, Merlock, who never comes across as particularly menacing, but his sidekick Dijon is a nice addition and provides some comic relief while fitting in with the true DuckTales style. This movie is worth viewing once or twice, but you might opt to rent it rather than purchase it, as it's not something that will hold your interest if you watch it often. If you are a fan of the older disney movies, than Treasure of The Lost Lamp is a must have. Even today, I still love to watch this amazing movie. DuckTales Treasure of The Lost Lamp is great for all ages. The only improvement needed is to make Treasure of The Lost Lamp a DVD. Even on the old VHS, it still deserves a 5 star rating. 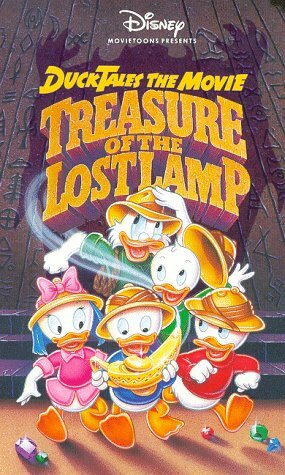 The first of Disney's attempts to make some quick bucks from a feature based on one of their daily TV series, "Treasure of the Lost Lamp" sprawned from the enjoyable 80's cartoon series DuckTales and is likewise animated by the TV department. In this big-screen goround, Scrogue McDuck (Alan Young) travels with his nephews and niece Huey, Dewey, Louie, and Webby (all Russi Taylor) in search of Collie Baba's legendary treasure. They are persued in this quest by powerhungry sorcerer Merlock (Christopher Lloyd) with the reluctant assistance of his henchmen Dijon (Richard Libertini) and escape with their lives - but without most of the treasure. The kids release a geenie in the lamp when Webby is cleaning her "teacup" and have fun making crazy wishes (such as turning Webby's stuffed toys into real live animals.) But Merlock, the geenie's former master, is hot on their trail and hell-bent on reclaiming the lamp and the power of the geenie at any cost. All this plays out like a workprint version of Disney's classic "Aladdin," which debuted two years after the DuckTales release, but that's not nessesarily a bad thing. There's a lot to like about "Treasure of the Lost Lamp," and a lot of fun to be had here, including many comic moments. Also, the breezy 74-minute runtime is just right for young viewers' attention spans. While the visiuals and somewhat choppy editing are nothing compared to the Feature Animation-created Disney efforts of the time, the movie recaptures the look, feel, and spirit of the TV show, making it good fun for fans and a very worthile watch for others. In fact, it's best to think of this as an episode of the TV show with an extended runtime. When you use that point of view with this film, you'll have a lot of fun following the epiosodic adventures of the characters. The opening sequences while searching for (and finding) the treasure feel a lot like an animated Indiana Jones and it's a shame there wasn't more time put into this part of the story. All in all "DuckTales" provides a solid, simple and entertaining story, great vocal delivery from all the cast (most noteable in this department is Christopher Lloyd as the villian), and a lot of laughs with genuine humor behind them. Highly reccomended viewing for a lazy afternoon, but this might not stand up to repeated showings unless you're a big fan of the show. If you are a fan, don't hesitate to buy this - you'll be pleased. Others who just want a taste of what the show was like, this will fit the bill nicely and is suited to a rental.